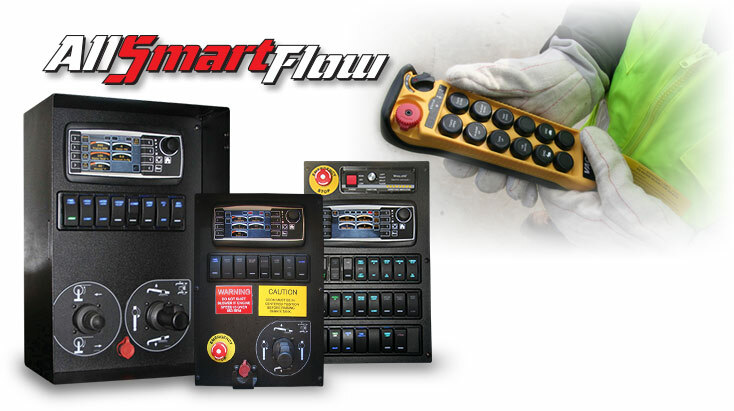 The Vacall "Green That Works" collection of standard and optional advantages can help you save money, increase operating efficiency and protect our environment. All while continuing to deliver industry-leading vacuum and jetting forces. Click on the options below to learn more about how you can benefit from “working green” sustainability. Vacall Recycler continuous waste water recycling system is a "Green That Works" option for AllJetVac combination sewer cleaners. It can save time, increase working efficiency and conserve our natural resources. The Recycler system continuously vacuums water from sewer lines, puts it through a five-step filtering process and then reuses the water for jetting — using no city water at all, all day long. 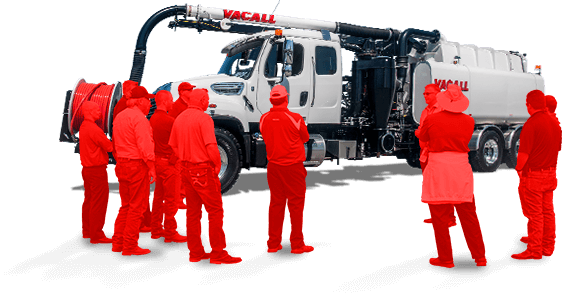 Vacall machines deliver optimum over-the-road and on-the-job performance with just one engine. 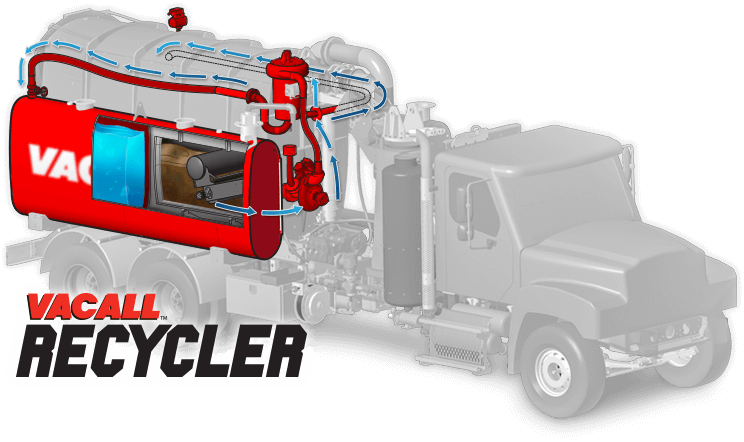 That’s right… extra power with fewer engines, when compared with other machines that require one engine for the truck chassis and another to generate vacuum and jetting power. With fuel prices expected to rise dramatically in the next year, this is a BIG advantage. Even with today's advanced engine designs, using one engine instead of two can dramatically reduce harmful emissions. Why spend extra time on oil and filter changes and other routine maintenance procedures? For example, there's no need to inventory special fuel and air filters for a second engine. Now, you can configure water tanks, debris tanks and other features without reserving space for a second engine. Without the weight of a second engine, you can easily add tanks and accessories to increase your productivity. Face it… operating one engine is quieter than operating two. Eliminating the cost of a second engine benefits the bottom line of your equipment acquisition budget. Hot dip galvanized debris bodies and aluminum water tanks will be repaired or replaced for the original owners if they are found to be defective in materials and workmanship under normal use. Debris bodies made of stainless steel will be repaired or replaced for original owners if they are found to be defective under the same conditions. 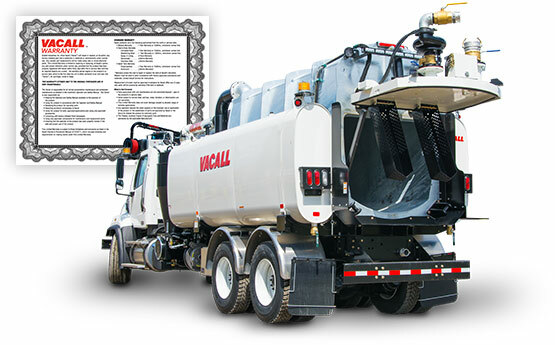 Maybe best of all, with all these savings, there's no loss of performance thanks to Vacall's superior equipment design. And to optimize the life and continuing value of your investment, all Vacall machines are supported by Gradall Industries' global engineering and product support networks.